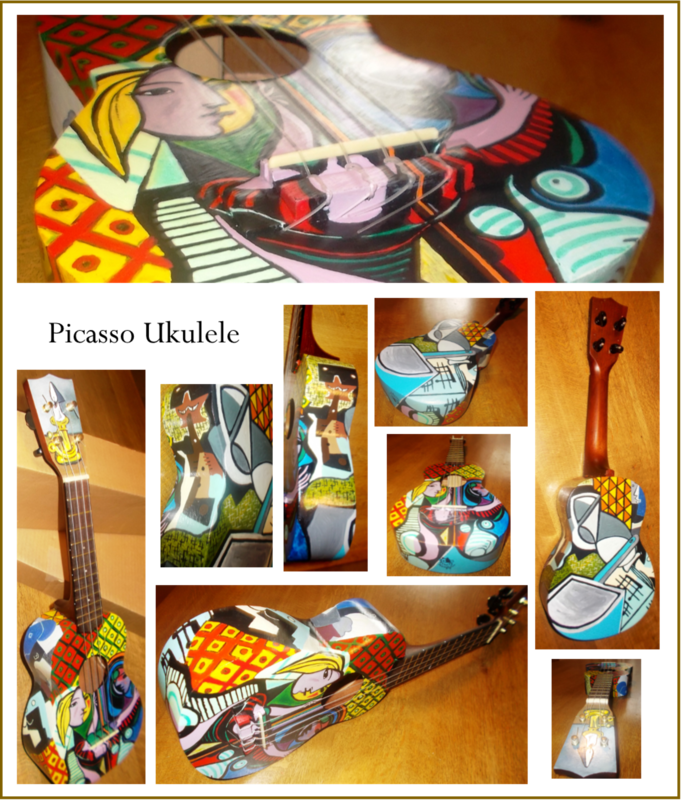 Hand painted Makala ukulele, detailing various images from Picasso’s work. The painting is finished with a thinly applied nitrocellulose lacquer, which does not affect the sound or playability of the ukulele. This ukulele is unique and will not be repeated. Please contact Mooglymoo for more details.